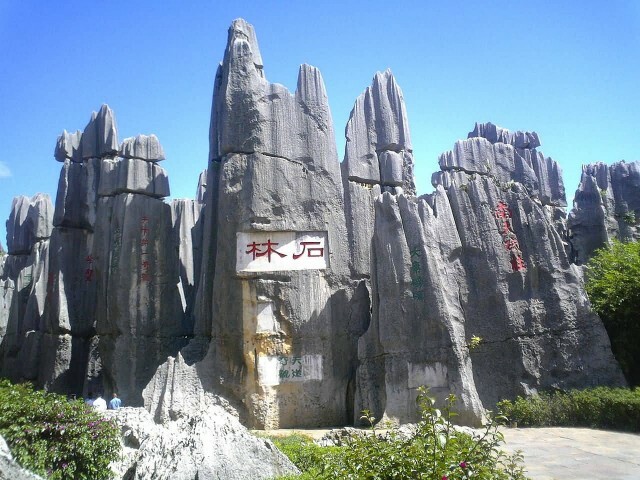 The Stone Forest or Shilin is a notable set of limestone formations located in Shilin. 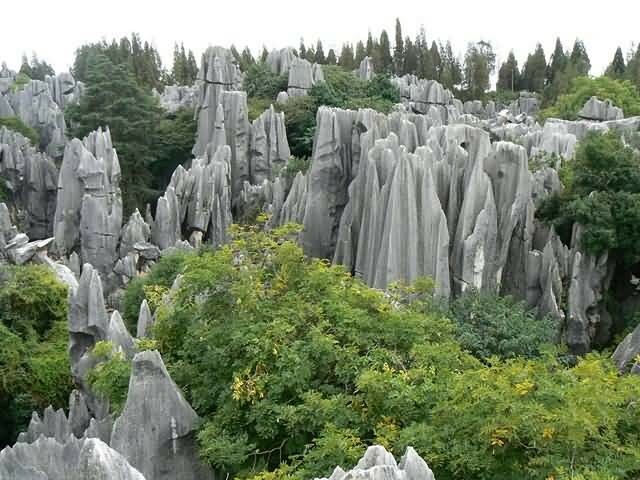 The tall rocks seem to fall to the ground in the manner of stalagmites with many looking like petrified trees thereby creating the illusion of a forest made of stone. 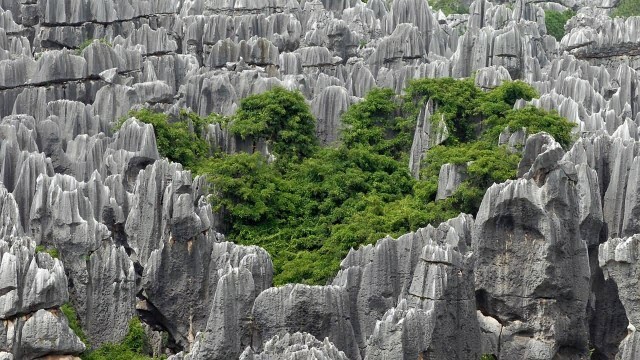 Since 2007, two parts of the site, the Naigu Stone Forest and Suogeyi Village have been UNESCO World Heritage Sites as part of the South China Karst. The site is classified as a AAAAA-class tourist site. There are also a number of hotels in the area. 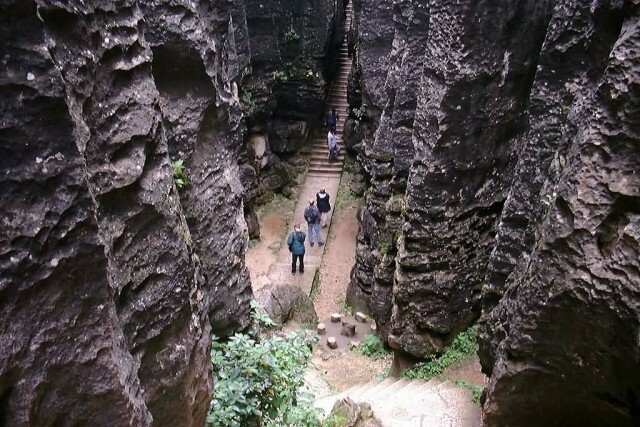 These formations, caused by the dissolution of limestone, are believed to be over 270 million years old and are a tourist attraction for both overseas and domestic tourists with bus tours bringing tourists from Kunming. There are also a number of hotels in the area. According to legend, the forest is the birthplace of Ashima a beautiful girl of the Yi people. After falling in love she was forbidden to marry her chosen suitor and instead turned into a stone in the forest that still bears her name. 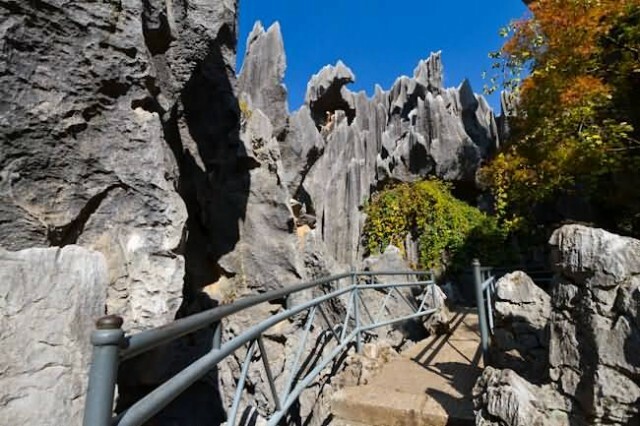 There are buses available from Kunming East Bus Station to the scenic site of Stone Forest, which takes about 1.5 hours to get there.Trains are also available from Kunming Train Station to Shilin Train Station.